United Launch Alliance is expected to reveal its design for a next generation satellite launcher Monday, outlining a 20-year roadmap to develop a new methane-powered first stage booster, an advanced space tug and a reusable rocket engine. 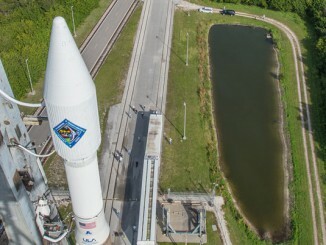 The launch company, formed in 2006 by merging the rocket divisions of Boeing and Lockheed Martin, will make the announcement at the Space Symposium, an annual space industry conference in Colorado Springs, Colorado. 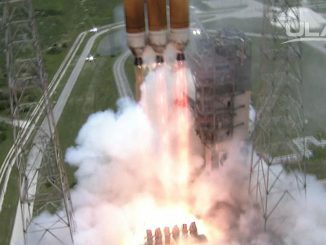 ULA plans to retire its basic Boeing-developed Delta 4 rocket by the end of the decade, and then stop flying the Lockheed Martin-designed Atlas 5 booster some time in the 2020s. The shakeup of ULA’s rocket line comes with competitive pressure ratcheting up from SpaceX, which says it can launch the U.S. military’s satellites at less cost than ULA. Changes in the geopolitical landscape also forced ULA’s hand. The Atlas 5’s Russian-made RD-180 main engine became part of a war of words between Russia and the United States last year, when the U.S. government instituted sanctions against Russia following its annexation of Crimea. Dmitry Rogozin, Russia’s deputy prime minister, responded by saying that RD-180 engine exports to the United States could be cut off, but the threat has been empty so far. RD-180 engines are still being delivered to the ULA, officials said. But the diplomatic spat triggered legislation passed by Congress in December that outlawed buying new Russian rocket engines to launch the Pentagon’s most critical space missions, putting the Atlas 5’s future in jeopardy and leading ULA to fast-track the design of a replacement U.S. launcher. The company’s Next Generation Launch System will also get a new name Monday after employees and space enthusiasts cast more than a million votes in an online poll. Tory Bruno, ULA’s president and chief executive, said in an interview last week that Monday’s announcement will set out the firm’s technology roadmap through 2035. Other details, such as which launch pads the new rocket will use, are expected to be announced at a later date. The design of the new rocket’s first stage booster is progressing on pace for a first launch as soon as 2019, he said. It will likely be powered by two BE-4 rocket engines under development by Blue Origin, a start-up space company established by Amazon.com founder Jeff Bezos. The BE-4 engine will burn a mixture of methane and liquid oxygen, and two of the engines will generate 1.1 million pounds of thrust at full throttle, according to Blue Origin. ULA has a contract with Aerojet Rocketdyne, builder of a line of rocket engines dating to the dawn of the Space Age, to continue designing its own U.S-built kerosene-fueled engine in case Blue Origin runs into trouble. Bruno said the first launch of the next generation rocket will use the new first stage booster topped with one of ULA’s existing upper stages using a hydrogen-burning RL10 engine. A cluster of strap-on boosters could be added to haul more cargo into space, similar to the adjustable configurations used by the existing Atlas 5 and Delta 4 rocket lines. The new upper stage will fly with a piston engine designed in partnership between ULA and Roush Fenway Racing, a motorsports enterprise that competes in NASCAR events. The system will generate electricity and pressurize the rocket’s fuel tanks, transforming the upper stage into a long-lived space tug that can maneuver in space for several days. Engineers plan to also phase in the capability to reuse parts of the coming rocket in a bid to cut the cost of launches, but Bruno cautioned ULA is still wary of taking the same approach to reusability as SpaceX, which aims to recover its Falcon 9 rocket boosters intact, refurbish them, and fly them again. ULA’s rocket unveiling in Colorado is scheduled for 4 p.m. EDT (2000 GMT) Monday, a half-hour before SpaceX plans to launch a Falcon 9 rocket from Cape Canaveral with fresh supplies for the International Space Station. Observers may be more interested in the Falcon 9’s first stage maneuvers after the liftoff, which will target a vertical descent and landing on a platform stationed in the Atlantic Ocean. If successful, SpaceX says the landing experiment is just the next step in the road to making the Falcon 9 first stage reusable. Next will come lengthy inspections, ground testing, refurbishment and convincing risk-averse customers the used rocket booster is capable of another launch. According to Bruno, ULA’s internal studies indicate a reused rocket stage must fly up to 15 times to be more economically attractive than flying single-use throwaway rockets. 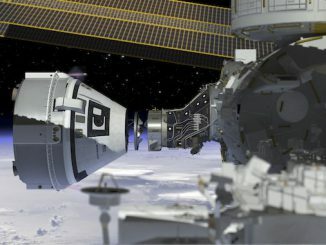 “When you talk about conventional technologies on a booster like you see other people doing, and being able to recover and reuse that booster 15 times with relatively minimial refurbishmoent costs, that’s pretty darn challenging, and maybe not the right place, in our view, to start on that problem,” Bruno said. 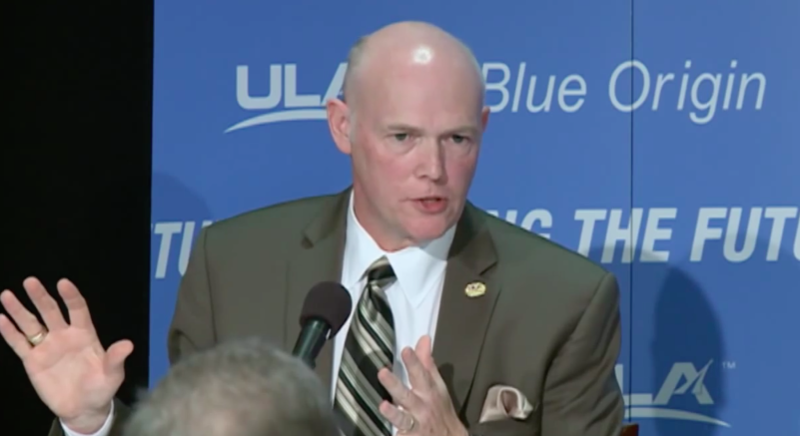 Bruno hinted in a speech in February at Stanford University that one starting point for ULA’s reusability plan could be in the next generation rocket’s engines, which could detach from their fuel tanks and descend back to Earth. Blue Origin says its BE-4 engine can be flown multiple times. Bruno declined to disclose how much ULA is spending on the new rocket, which is currently an entirely commercial endeavor. ULA, Blue Origin and Aerojet Rocketdyne are spending internal research and development funds on the rocket. The Defense Department has funding in this year’s federal budget to support the new launcher’s development, but the Pentagon has not awarded contracts. Bruno did provide ballpack figures, saying new rocket engines typically cost at least $1 billion to design, test and fly. An all-new launch vehicle may cost $2 billion, he said. “Our numbers are going to be be different, and I can’t talk about how we divide them between ourselves and Blue Origin and ourselves and Aerojet Rocketdyne,” Bruno said. 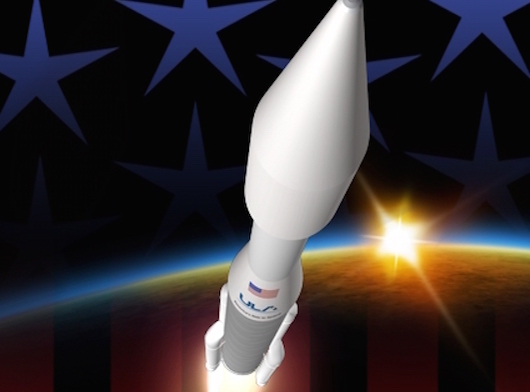 The target price point for the new ULA rocket is about $100 million per “launch service,” Bruno said. He said that is about half of the average price of a ULA booster today. SpaceX advertises its Falcon 9 rocket for $61 million, but Bruno said the base version of ULA’s NGLS will lift more cargo into orbit than the Falcon 9. The much larger Falcon Heavy rocket, formed of three Falcon 9 booster cores strapped together, is priced at $90 million, according to SpaceX. SpaceX president Gwynne Shotwell told a House subcommittee last month that launch prices for U.S. Defense Department missions would be higher due to special technical and mission assurance requirements levied by the Air Force. Shotwell said a Falcon 9 launch for a U.S. national security payload would likely be priced between $80 million and $90 million, and an Air Force-purchased Falcon Heavy would go for more than $150 million.